Have you ever played QWOP? If you’re a real geek you need to have played this viral game at least once in your lifetime. It’s an “essential” requirement! 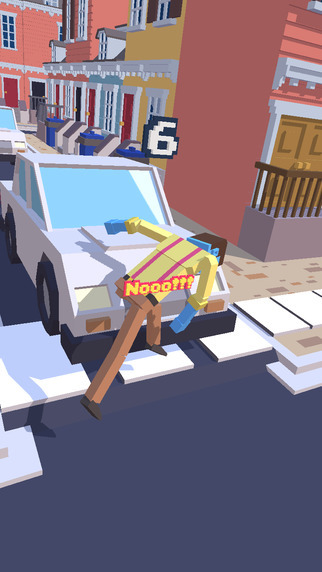 Today we’ve found a game quite a bit easier than QWOP, but just as funny! This is our review of Steppy Pants. 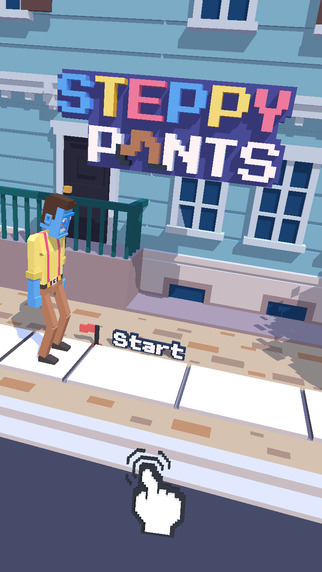 Steppy Pants is probably one of the silliest ideas we’ve ever seen for a game. 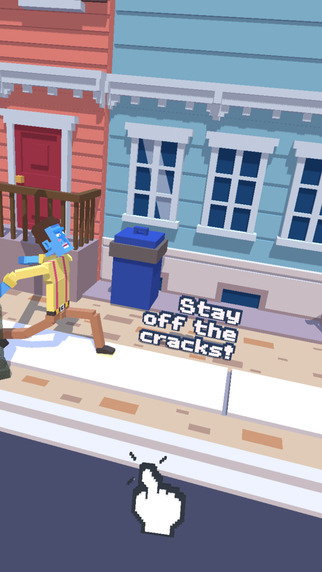 Who would ever think of turning “walking” into a hilarious game? 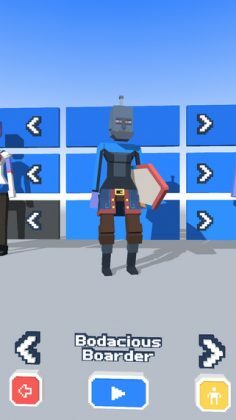 Not us, but somehow this – perhaps a little too simple – game manages to bring smiles to the faces of almost everyone who plays it. A great success in the world of games. So what is Steppy Pants? Well in a nutshell, it’s a game where you avoid stepping on the cracks in the foot path, a game most of us have probably played as 5 year olds… By touching and holding on the screen of your device your character – a dangly blue fellow who probably needs to see a doctor… – will take a step or stride, depending on how long you tap. For a game so simple, so silly, so crazy, Steppy Pants has some of the highest quality 3D pixelated graphics we’ve ever seen! 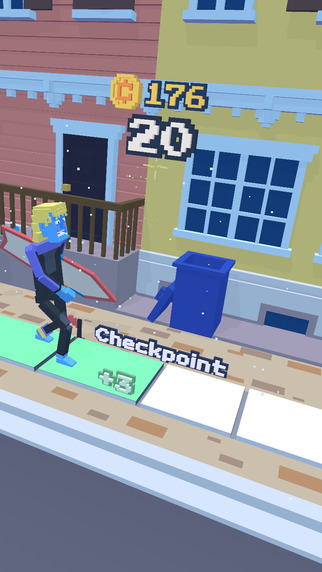 For anyone who thinks this game is pretty much a joke – which it is – Steppy Pants is actually one of the highest quality jokes we’ve ever seen and is simply awesome to play!